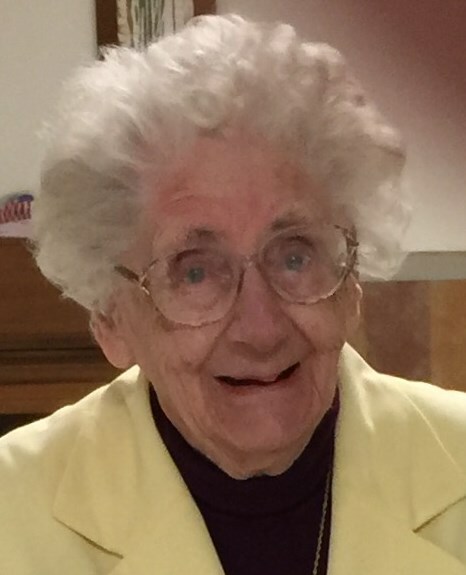 Age 91, formerly of Houston, passed away of natural causes Sunday morning, March 24, 2019, at Ohio Living Dorothy Love in Sidney, Ohio. She was born November 7, 1927, in Sidney, Ohio (Orange Township) to the late Lloyd and Mary (Staley) Knoop. On February 18, 1950, at New Palestine Congregational Christian Church in Tawawa, Ruth married Paul "Marvin" Heins who preceded her in death on May 7, 2006. Surviving are two children, Helen & Greg Ward of Sidney and Paul L. & Lori (Hilgefort) Heins of Sidney; six grandchildren: Michael & Kristi Ward, Stephanie & Tyler Everett, John Heins & fiancee Allie Unger, RJ, Chloe, and Ryan Heins along with four great-grandchildren: Kaden Ward, Landon, Nolan and Lena Everett; one brother, Herschel & Judy Knoop of Sidney as well as three nieces and one nephew. Ruth was a 1945 graduate of Green Township High School and a 1950 graduate of Defiance College where she obtained a BA degree in Elementary Education. She retired in 1982 from Hardin-Houston Schools where she had been an elementary teacher for 25 years. She previously taught at Piqua and Sidney City Schools. Ruth attended Houston Congregational Christian Church and had been active in the Ladies Aid Crew. She was a member of Shelby County Retired Teachers, Delta Kappa Gamma of Shelby County / 65 Year Member, Hardin-Houston Elementary Retiree's, Houston Community Association, the former Houston Grange, and a past member of the Fort Loramie Historical Society. She had also served 6 years as a Shelby County FSA Board Advisor. Ruth was an avid Houston Wildcat fan. She also enjoyed reading, gardening and canning. Funeral services will be held at 10:00 AM, Friday, March 29, 2019, at Gehret Funeral Home in Fort Loramie with Pastor Kris Geise presiding. Interment will follow at Houston Cemetery. Friends may call Thursday 3:00 to 7:00 PM and Friday 9:00 to 9:45 AM at Gehret Funeral Home. Memorials may be made to the Hardin-Houston School Athletic Department or Shelby County Retired Teachers and Delta Kappa Gamma scholarship funds. Private condolences may be expressed at www.gehretfuneralhome.com.